Fall in the Midwest is short-lived and beautiful. The temperatures are cooler, and the colors are changing. It is the perfect time to take advantage of Stevens Point’s Green Circle Trail. Green Circle Trail is a 26-mile nature trail that circles through rivers and trees. Before you take advantage of the hiking opportunities, here are some essentials to keep in mind. Stay Hydrated: We all know this, but a reminder doesn’t hurt; it is very important to drink lots of water when you’re physically active. To get the most enjoyment out of your hike, make sure you know where your water sources are before you start. Sip – don’t gulp. 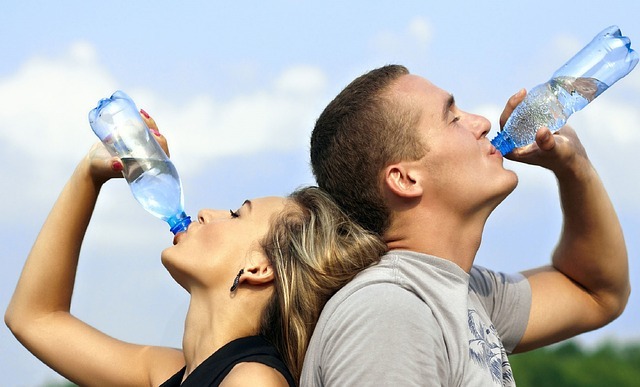 It is easier for your body to absorb and distribute water if you sip it frequently, instead of only making a few stops to slog down huge amounts. Outdoors Eagle has more tips on staying hydrated during your fall hike. 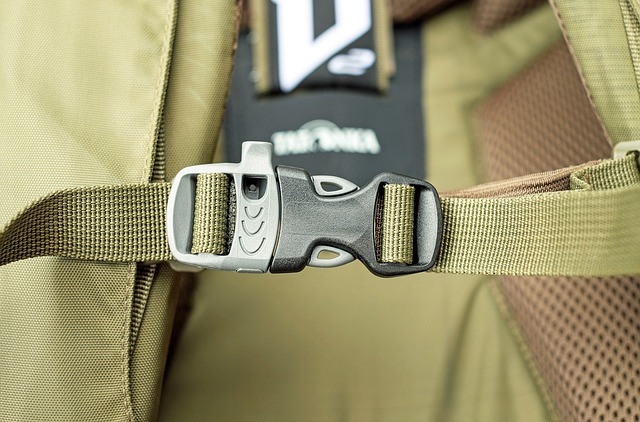 Pack your Bags Right: If you are carrying a backpack during your hike, it’s very important that it is packed properly to help you dodge potential back injuries. • Feel balanced when resting on your hips. • Feel cohesive, a whole unit, with nothing shifting or swaying inside. • Feel stable and predictable as you walk – at one with your upper body. Shoes: When it comes to trekking in the great outdoors, wearing the right pair of shoes is a huge concern. If you’re on a mostly flat or short trail, sneakers of any kind will be just fine. 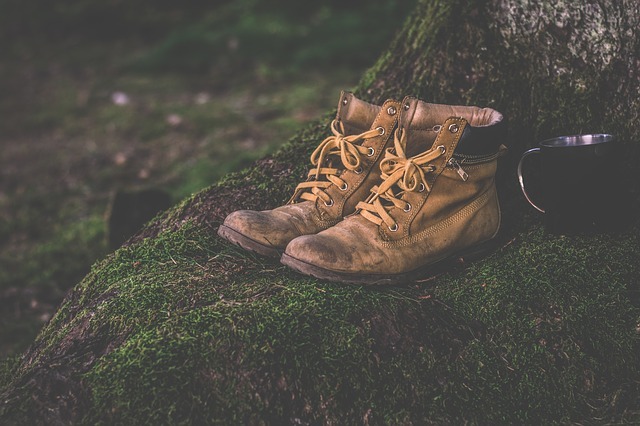 Hiking boots are more important if you’re carrying a heavy pack or traveling on long, uneven terrain. Hiking boots boast more ankle and sole stiffness, allowing for better form and less chance of injury. Learn more about the benefits of hiking boots from LiveStrong. And always avoid wearing plastic sandals. At Klasinski Clinic, we always wish you safe and happy hiking. 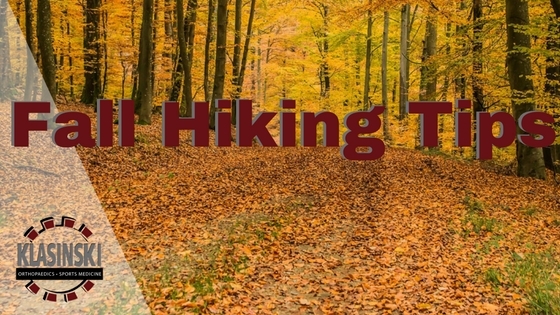 We hope you make the most of your hike by following our tips!